Today Nokia announced that their mid-range Nokia Lumia 1320 phablet will be officially available in the UK on February 24th, through sales channels. The Lumia 1320 provides the same overall form factor to its flagship sibling, the Lumia 1520, but with some more affordable components, making the 1320 a great option for those that want the large size without the large price tag. While Nokia didn't reveal the pricing for the device, Carphone Warehouse already has the Lumia 1320 on pre-order for £299 ($500) SIM-free. Given that a SIM-free Lumia 1520 can cost as much as £599 ($1000), the Lumia 1320 offers great value for the form factor. The Lumia 1320 comes with a 6 inch touch display with a 720 by 1280 pixel resolution, 8GB of internal storage which can be expanded by an additional 64GB through microSD, a 5 megapixel camera capable of 1080p video capture, a secondary VGA camera for video calls and is powered by a 1.7GHz dual-core processor with 1GB of RAM. The Lumia 1320 also benefits from having all the Nokia experience applications installed too, from HERE Drive to Nokia MixRadio and Nokia Storyteller. 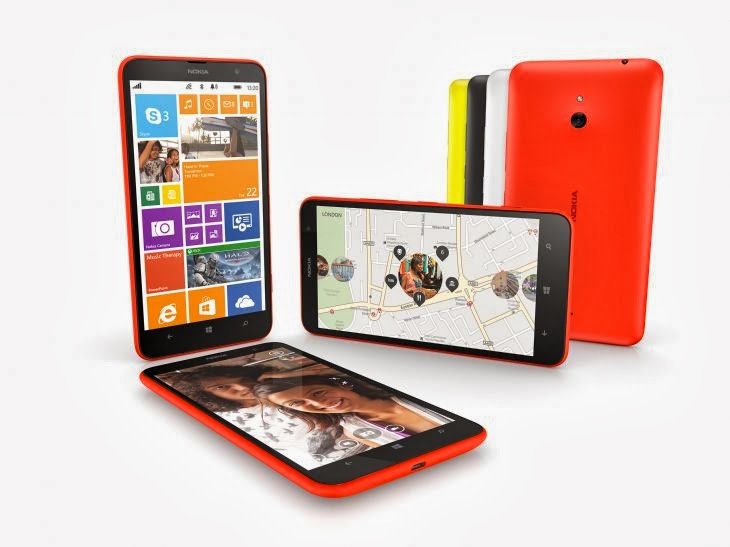 In addition to Carphone Warehouse, the Lumia 1320 will be available from EE, Virgin Mobile and others in just 10 days. Are you planning to make one of these affordable phablets your next smartphone? If so leave us a comment below.